During energetic postwar years, townspeople scrambled to build enough two or three bedroom frame rambler homes and schools for all grades, and to pave enough streets for all the people moving here. An active Chamber of Commerce, established in 1954, symbolized increasing industrial and commercial growth. In 1955 the Bloomington Athletic Association (BAA) began to organize youth in sports. 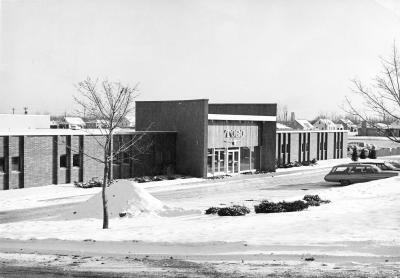 A new Bloomington High School was built and would soon be renamed Lincoln High School. Bloomington elected to become a city on November 8, 1960, as the population exploded that year to over 50,000. 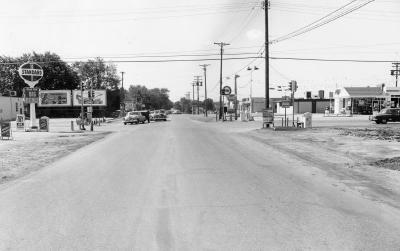 Concerned citizens rallied behind construction for public water and sewer lines and in 1961 Bloomington proudly accepted the All-America City award. 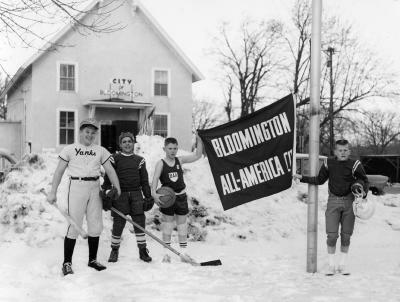 The City of Bloomington received the All-America City Award in 1961. 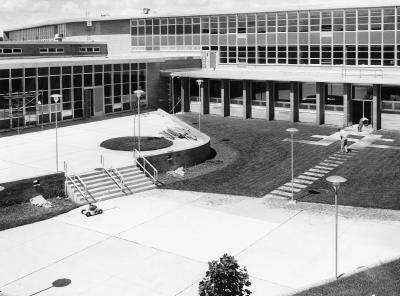 Bloomington High School, built in 1957 to accommodate the growing need for more schools. Later called Lincoln High School. 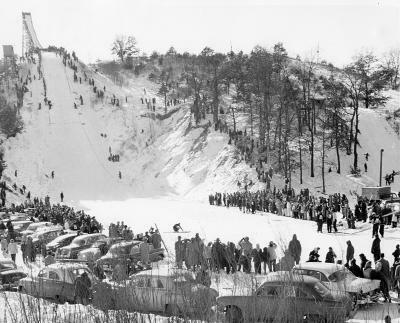 Bush Lake ski jump, circa 1950s. 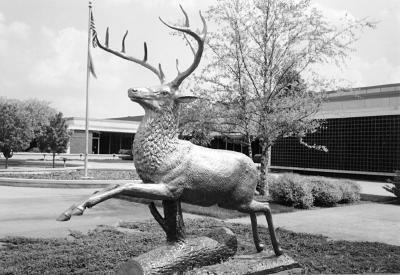 John Deere Company moved to Bloomington in 1955. 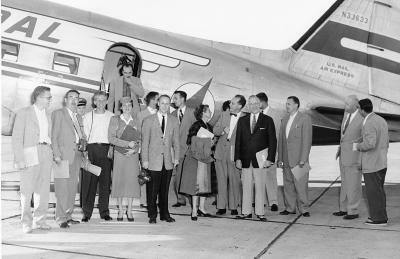 North Central Airlines, circa 1950s, became Republic Airlines, now Northwest Airlines. 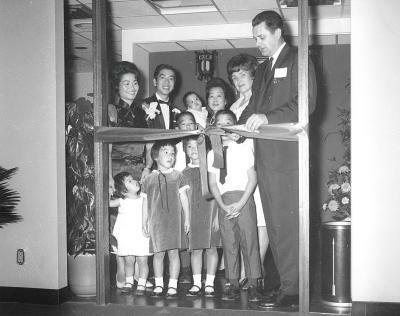 David Fong's Chinese restaurant opens at 94th and Lyndale Avenue in 1958. 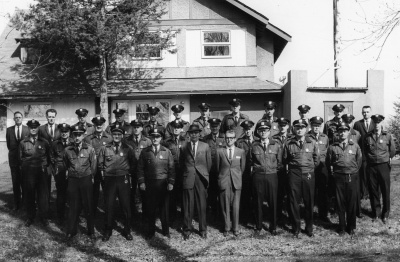 The Bloomington police force was housed in the old Moir house in the 1950-60s until the 1964 City Hall was built at Penn and Old Shakopee Road. 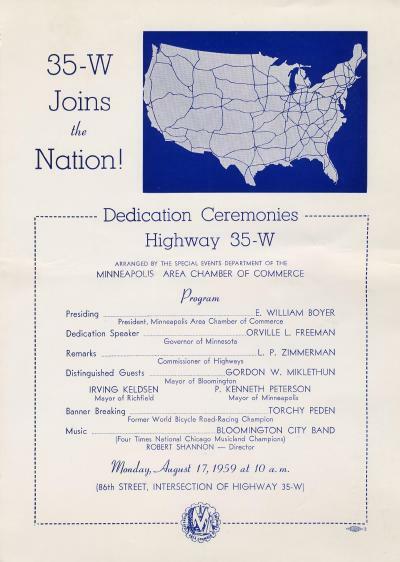 Dedication of Highway I35W, 1959. Construction of water and sewer system wins the All-American award. 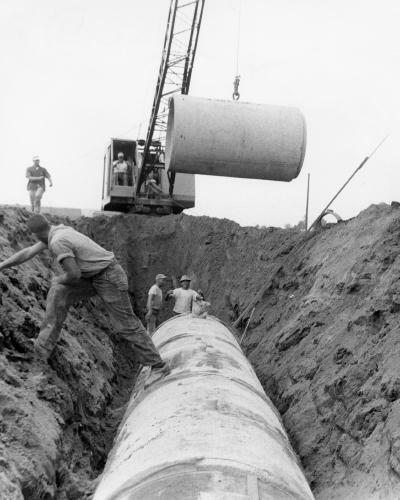 After wells were found to be contaminated, the community moved swiftly to install the sewer/water system.